Are you one of more than half – 53% – of American homeowners who agree that now is a good time to renovate a home? Over 60% of homeowners are prepared to spend more on home remodeling projects this year, in 2015, than those who made home improvements in 2014. In fact, the entire home design and renovation industry have experienced significant growth in recent years as more and more homeowners are choosing to improve rather than move. Now that spring has arrived, it’s the perfect time to begin fleshing out your spring or summer home renovation and design projects. There’s no need to tear down and remodel your entire home if you’re looking to add value to your property. In fact, whole home renovation isn’t necessary in order to receive a worthwhile return on investment (ROI). 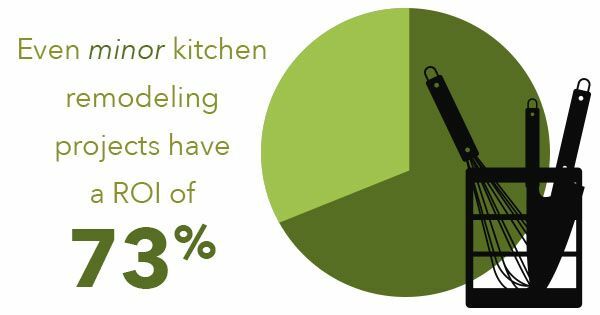 Even minor kitchen remodeling projects can have an ROI of up to 73%. Therefore, while planning your home remodeling project, it’s important to keep your end goal in mind. Are you renovating in order to sell, or do you plan on staying put? This may help you determine the exact nature of your home remodel. For example, if you’re renovating in order to sell, it’s best to stick to neutral color schemes and include amenities and features that are highly sought after, such as wooden decks. While properly budgeting for and planning your home remodeling process is important, it’s equally if not more important to determine exactly what kind of home improvement professional is right for the job. For example, unique home renovations may require the expertise and skill of the best architects in your area, whereas a general contractor could be able to complete a simple kitchen renovation with ease. There are a number of online forums and websites for architects in your area that may be helpful in determining who may be best for your specific project. When reviewing websites for architects and contractors in your area, pay close attention to the services offered as well as any client testimonials. This information can help you to better understand how the architect or contractor operates prior to meeting for a consultation.